Last weekend's post talked about the two definitions of "sonata" as it is applied to classical music. From last week's Tales' post The Dual Personalities Of A Sonata: "Literally, the word sonata means a piece played as opposed to a cantata-a piece sung. Sonatas in classical music are are written for an instrument like a piano [piano sonata] or instruments [which may involve piano accompaniment]. For example, a violin sonata involves one violin and one piano-so, it sometimes is labeled as a "violin sonata" or a "sonata for violin and piano". So, you may say a piece labeled a sonata is a song for an instrument/s to "sing". That is what we talked about last week. Today we will talk about the other definition of the word sonata as it is used in classical music: a defined structure [i.e., form] that is used in the composition of many classical music pieces. 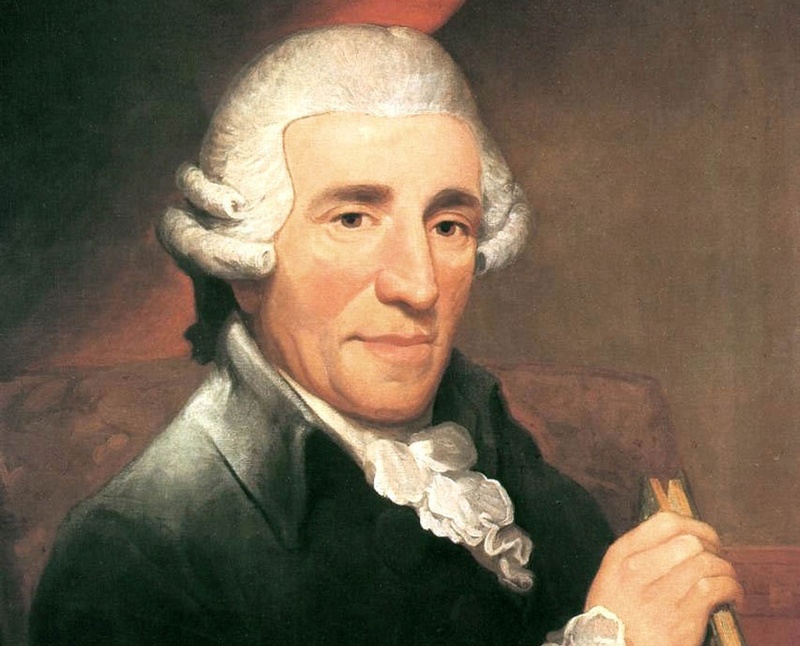 The great classical composer Franz Joseph "Papa" Haydn had much to do with the development of this form in composition of music. This structure or form that a composer uses to write the movement of a piece is not just used for sonatas, as you might think. It is also used in many large orchestral works, symphonies and concerti. Sonata is not the only form that the great composers used to compose a movement or an entire piece of classical music. Though, usually, but not always, when the movement of a classical music piece isn't designated by another name [for ex., theme and variations, rondo, etc. ], the structure of the piece will be in sonata form. The sonata form consists of three different sections. Like a book or a speech that has a beginning, middle and end, so does a classical movement in the sonata form. The three parts are called exposition, development and recapitulation. 1. Exposition is the beginning of the movement or piece of music, with a theme or themes introduced. These theme[s] will be developed and define the character of the movement/or piece. 2. After the exposition comes the development. This could be considered like the middle of the movement. This does not mean necessarily developing the theme[s] in the exposition, but rather adding to the flavor of the movement itself. As the exposition defines the character of the movement, you could consider the development adding to it, where a new theme may or may not be introduced. 3. The final section [and ending of the movement] of the sonata form is recapitulation. This means that the music will return to the opening of the exposition. It will sound like the movement is starting all over again and the exposition [that may contain some changes-like a change in key] is being replayed. So, I like to say in a piece or movement of music using the sonata form [structure] you will hear a beginning, then a middle, and then back to the beginning. The first piece is the second movement, larghetto, of Mozart's Clarinet Quintet in A-Major in sonata form with the exposition lasts almost 2 minutes with the development from 1:59-3:30 and the recapitulation goes from 3:31-6:03. From the first movement Allegro of Franz Schubert's Symphony #5 you have the sonata form with the exposition from around :06-3:46 and then a short development from 3:47-4:38 with the recapitulation beginning at the 4:39 mark to the end at 6:44. From the Vivace movement of Franz Joseph Haydn's Piano Concerto in D Major, with the introduction by the orchestra (tutti) and then the exposition from about 1:20 to the 3:09 mark and then the development from about 3:10 - 4:48, recapitulation, 4:49 - 6:40 followed by the cadenza at 6:41 -7:46 and ending. And the final example is from one of the greatest masterpieces of all time, the first movement of Beethoven's 5th Symphony. The exposition lasts for about the first 3 minutes, the development from about 3:00 - 4:24, and the recapitulation from 4:25-7:43. Please turn up the volume and enjoy some classical music and see if you can detect the sonata form [exposition, development and recapitulation] in these great pieces from Mozart, Schubert, Haydn and Beethoven.